You would not expect to find lederhosen at a Mexican restaurant. But you just might in Woodland Park, CO at Fiesta Mexicana. Located just 18 miles from the Colorado plains and Colorado Springs, home of the United States Air Force Academy and the U. S. Olympic Training Center, Woodland Park is a delightfully diverse mix of people from, well, everywhere. The miners that came to seek their fortune during the Colorado 1858 gold rush were as different in nationality as they were determined in desire. That is why you will see Oktoberfest celebrated with our Swiss, Austrian, and German neighbors sitting down to a platter of piping hot, made to order, real authentic Mexican food. We are just kind of neighborly like that in our little berg. There is a reason we are called the City in the Clouds as we sit at 8,465 feet above sea level. Nestled between Pikes Peak and the Rampart Range, our thick stands of spruce, pine and aspen, provide beautiful contrast to the rugged mountains, often with snowcaps. People move to Woodland Park because of the quality of life and the environment. They have since 1891, when the town was founded around logging mills that supplied timber to the gold mines in Cripple Creek and Victor. Sometimes a hearty meal is a very welcome thing. After a day of driving and hiking Pike’s Peak or haunting the old mining town of Cripple Creek, hungry is to be expected. Our mild weather is deceiving, as our air is very dry in this part of Colorado, even during winter. 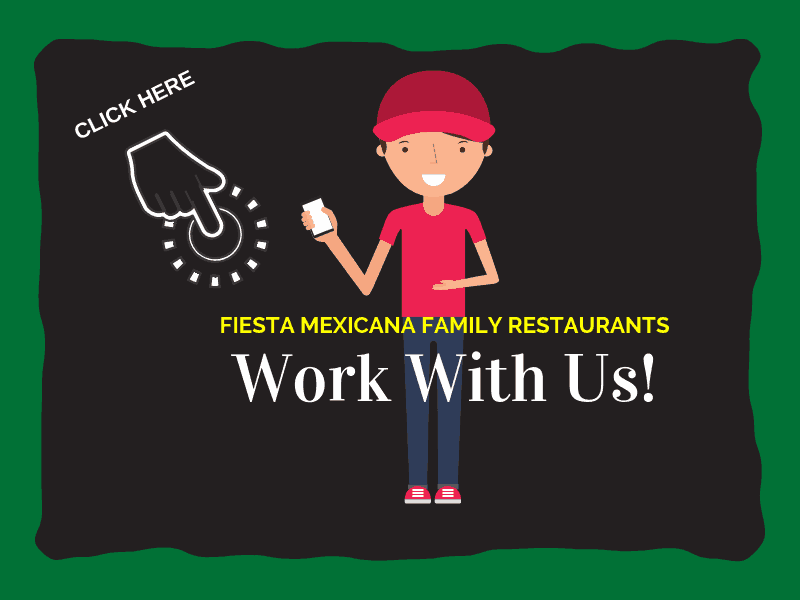 Please carry plenty of water during the day, and come see us at Fiesta Mexicana when you need something a bit more flavorful with a kick to finish off a terrific day in our beautiful corner of heaven. Our reputation of serving the best Mexican food in Woodland Park, CO, as well as the hugest portions, is a truth, not just legend. We believe in feeding and fueling you well for the next day’s adventures. And yes, we are the #1 Mexican restaurant in Woodland Park, and some argue, Colorado Springs and beyond. Come up and taste for yourself, and you will be back. Be it fireworks, Oktoberfest, or a Plein air class, there is something for everyone in our alpine village. Even though remote and quaint, we are the hub for this area in the mountains, saving people the 30 minutes and mountain drive to Colorado Springs. Visitors come from all over the world to enjoy the beautiful Rocky Mountains, breath our pure alpine air, and enjoy one of a bazillion events we have going on constantly year around in Woodland Park. 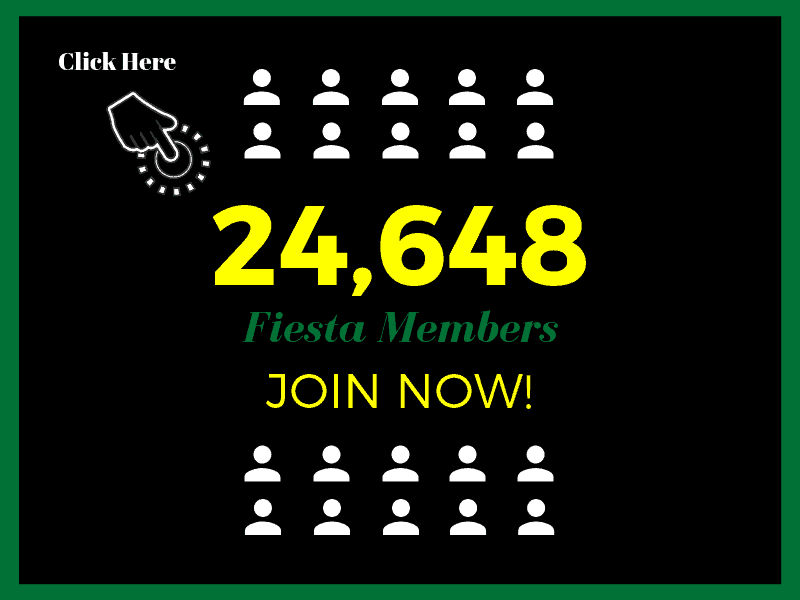 A lot of them happen here at Fiesta Mexicana as well, ‘cause when something happens in Woodland Park, the whole town takes part. We are family, and we want you to be, too. Outdoor activities abound in Woodland Park, CO, from hiking, wildflower walks, skiing, snowboarding, and fishing, to local must-sees like Garden of the Gods, the Olympic Training Center, and the Florissant Fossil Beds NM. With over 300 days of sunshine a year, it is easy to see why so many people visit and enjoy our pristine mountain paradise, often returning many times a year. It is also easy to see why they get really hungry, and that is where we come in. 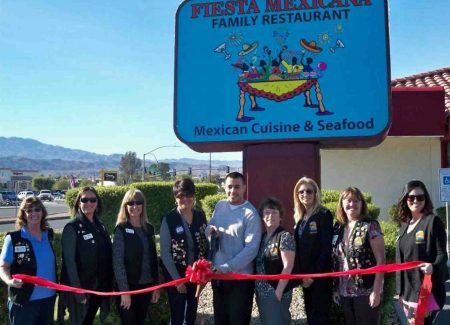 Fiesta Mexicana is ranked as the top Mexican restaurant by Travel Advisor in the area. Among the very best restaurants in Woodland Park, CO, our portions are huge, our prices are fair, our staff is phenomenal, and we proudly are locals. When you eat with us, it is like being at home. In fact, some of our customers come instead of cooking traditional Mexican at home, as they claim we are better than their own home prepared meals! 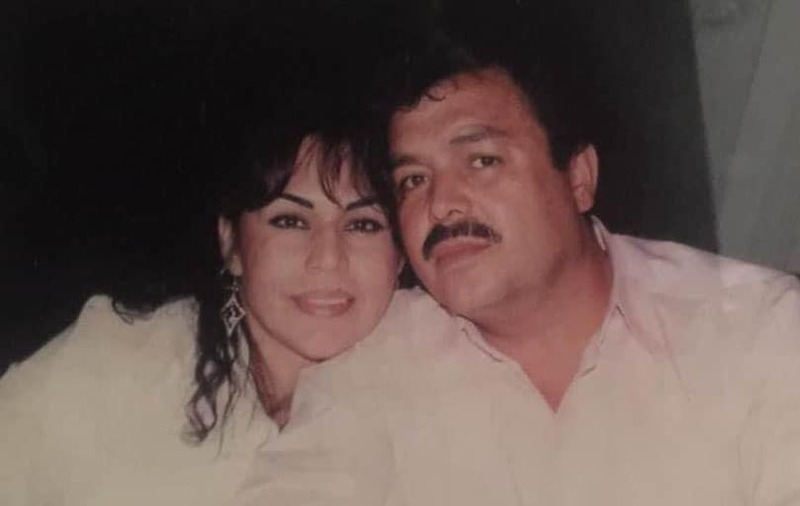 Hailing from Jalisco, Mexico, and having been trained in the family kitchen since small, we know that taste, fragrance, and look all are important when you sit down to a fine meal. 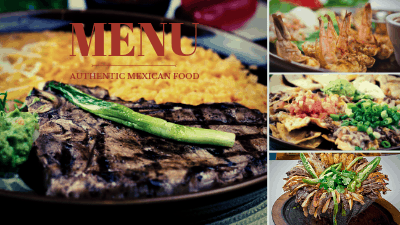 Jalisco is known for both seafood and other dishes. We probably have more seafood on our menu, which is very extensive, than any other restaurant in Woodland Park (and maybe even Colorado Springs!). You will also find lots of chicken, beef, and pork, as well as vegan, vegetarian, and gluten free dishes. We pride ourselves in fresh from scratch cooking with the very best ingredients we can source. All our sauces, bases, moles, and mixes are made fresh daily on sight. We mix and hand roll all our corn tortillas fresh. Our food is prepared with care and to reflect the quality of life in Woodland Park. We are so proud to be part of it. Our staff makes us beam like a ray of Colorado sunshine. Many visitors are surprised and delighted by the friendly, positive, professional manner our entire team shares. We are happy to accommodate special needs and requests. Please let us know if there is anything you need or desire, like a seat outside or near a window, or no dairy in your meal. We will do everything we can to make it happen. Ask any questions you wish, too, as our staff is knowledge and can explain ingredients or preparation methods you might have questions about. Alternative cooking methods are also available for things like steamed instead of fried vegetables. Just ask. We really, truly, do not mind. Speaking of accommodate, we have noticed a lot of confusion between true Mexican cuisine and Tex-Mex. While a great regional taste, Tex-Mex is different. True Mexican cuisine makes optimum use of all the flavors, colors, and textures of the ingredients, as fresh as possible. That is why we make our own blends and even grind spices. We can make a dish as hot as you want, but really, would prefer you taste, savor and enjoy the fragrance and flavor first. If you then want mucho caliente picante, we will be happy to adjust or bring the appropriate spices or condiments out for you. The choice is always yours. Many visitors come to our area from all over the world, and they enjoy the opportunities to sample real, authentic fare. 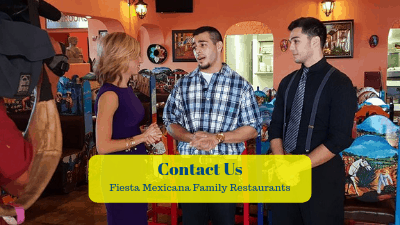 Fiesta Mexicana is real, authentic traditional Mexico, from our menu and margaritas to our brightly carved and painted furniture and Colorado mountain sunset colored walls. Many of the dishes on our menu you may not recognize. Sure, we have the expected things like burritos, tacos, chalupas, chimichangas, and all the trimmings, but we also have camerones, crema dishes, and our signature mocajete – a blend of multiple meats, vegetables, peppers, salsa, and cheese in a steaming hot volcanic lava bowl. Come hungry, as it easily feeds 3 or more. Happy Hour is known and attracts a colorful crowd of skiers, backpackers, tourists, and locals. Margaritas are half price, beer is reduced, and food specials are often. It runs every day from 2-7, which, incidentally, laps over lunch which runs til 3 pm. Our full service bar can fix most anything you crave, or try one of the margaritas that made us famous. And, if you feel adventurous, get a Cadillac. You can get a shot of tequila on the side, but we kind of doubt you will need it. If you do, well, don’t blame us if someone posts your video in a sombrero singing “Rocky Mountain High” from a tabletop. We didn’t see a thing. A lot of people drive from Colorado Springs and all over the 4 Corners area to eat with us, especially on Friday night and weekends. We are open 11 – 9 Sunday – Thursday, and until 10 on Friday and Saturday. If you are tired and do not want to wait for a table, please call our friendly hostess and be waitlisted. They will tell you what time to arrive and we will seat you promptly with ice water on request and an endless supply of chips and home made salsas. You can always call for carry out as well, a popular option with the younger crowd. You might be thinking that is a bit early for a really great restaurant to close, but we want you down the mountain safe. 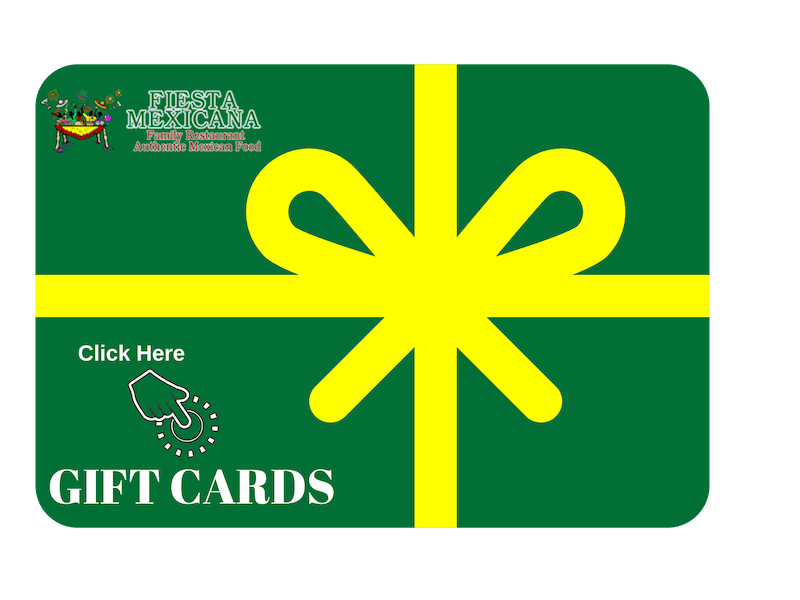 Fiesta Mexicana prides itself in being inclusive, and that includes your kids. Family is important to us, as it is you. Please bring the little ones. We have a good kids menu with lots of selections both western and Mexican. You might not need it, though, as we have learned that kids after seeing our bright colors, artwork, and cultural heritage on display, often ask to sample what everyone else is having at the table that smells soooo good when it comes out. We have high chairs available, too. Located at the corner of W. Midland and N. Maple, we are right off Hwy. 24 in the center of town. Our Woodland Park, CO location is unique in that it is two storied. Don’t worry, though, you will not have to climb stairs. There is adequate seating on the main floor, we are fully handicapped accessible, and have good parking with extra nearby. We also have an outside patio so you can visit with friends, get rowdy, cheer for football, or just plain chill. Coming to the mountains for an unforgettable wedding, family reunion, training meeting, birthday, anniversary, or other event? We can help you celebrate. We cater, or can arrange a space inside the restaurant. Just give our manager a call, stop by, or fill out our online contact form and we will touch base. Give us the details, how many people, times and dates and we will do the rest. 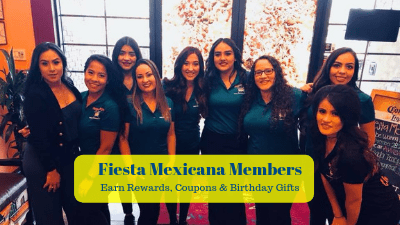 Making memories is what Fiesta Mexicana is all about. It is ok up here in the mountains to go outside, stretch in the sun off the Rockies, and breath out a big, relaxed sigh. Colorado does that. So does a great meal. We know. We are both. Come visit. Mi casa es su casa. We mean it.